Located in popular leading East Shopping Centre. First time offered for sale for over 10 years! 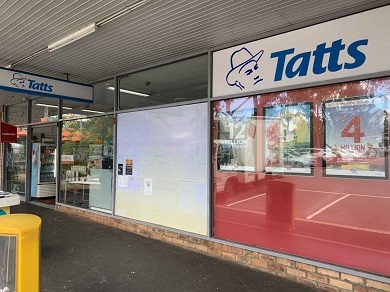 This Tatts kiosk and Tobacconist has high Tatts Sales - over $300K per annum, plus strong retail sales. The current Vendor has a new Lease due to commence in May 2019 and now ready to retire. The new purchaser will have the benefit of the new lease. This agency is ideal for a couple or partners with part-time help. Premier Business Consultants Pty Ltd is proud to have the opportunity to offer this beautifully presented and highly profitable business for sale for the first time in 11 years. The Vendors decided to evolve the business into what it is presented as today. 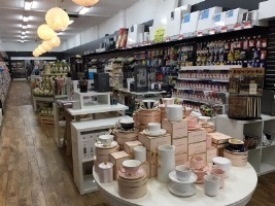 With the introduction of exclusive Agencies for beautiful giftware, people travel to come to this business to shop from all areas of Melbourne. The Tatts sector of the business has been integral having a proportional effect on the growth of non-Tatts products also. Since the Tatts Agency was introduced to this business and a new Corporate Image Tatts shop-fit was installed at the entrance to the business premises, a new customer flow was established and the Tatts sales and commissions have shown strong growth since opening around 2 years ago . This business has become well known for an extensive range of magazines, Sub-news and other associated services for customer convenience. Whilst the store continues to evolve, so too does the Moonee Ponds landscape. This shopping precinct has many new major retailers that do not compete, but all add to drawing very high foot traffic to this very popular shopping strip. Additionally there is also many new developments occurring in the immediate area which will place new customers on the doorstep. A long lease is in place for security of tenancy. Adjusted Net Income for the current Vendors is in excess of $280K per annum and the staff are well trained and provide excellent service.